Some contractor's websites are filled with photos of beautiful looking buildings that have not-so-beautiful stories behind them. Owners that weren't treated with respect or welcomed at the job site. Subcontractors and suppliers that weren't paid in a timely manner or at all. Contractors that didn't follow through on their warranty obligations. The list goes on. Most contractors claim they are committed to delivering a quality project, on time, and in budget. Our desire is to serve our customers in ways that go beyond those three things. Getting a quality building delivered on time and in budget should be a given. To us, A Better Construction Experience, means getting all of the little things right. Providing our customers an experience that is completely positive and professional from the first phone call to the last warranty request. Our goal is simple: to serve our customers passionately and give them A Better Construction Experience than our competitors can provide. Please take a minute to hear what our customers have to say. Contact us today to learn more about the experience we can provide on your next project. Horizon cares deeply about both our local and global communities. 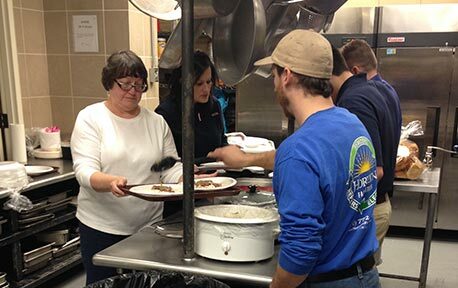 Read more about the wonderful organizations that we are privileged to serve in different ways. 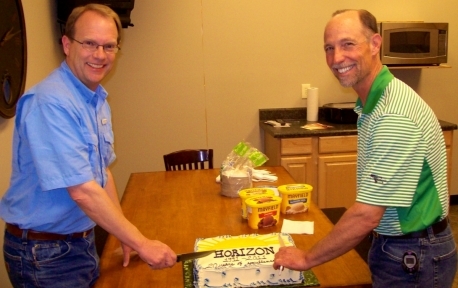 In April of 1991, Steve Micham and Jeff White purchased a used work van and leased a single room office to start Horizon Construction Company. With the nation emerging from war and recession some folks questioned their sanity. Nevertheless, they fixed their gaze on the horizon and forged ahead. Their first year was characterized by hope and hard work and included a variety of repair and remodel projects along with Horizon's first free-standing building. In those early years, Steve and Jeff built the foundation of Horizon on a commitment to integrity, long-lasting relationships, and servitude. Our mission statement is to be passionate about serving our customers. No matter what your project size or type, our goal is to put your needs in front of our own and deliver a construction experience that exceeds your expectations. Every company is founded on a set of core values that guide its daily decisions. Here are ours. Integrity: Our words and actions match. Customer Satisfaction: We go beyond our customer’s expectations. Relationships: We create and build bonds that extend beyond our projects. Servitude: We help others with no regard to enriching ourselves. Teamwork: Our office, field staff, vendors, and subcontractors, cooperate to deliver A Better Construction Experience. Knowledge: We learn through commitment and hard work, and then share with others. There's a reason why Horizon's first two customers are still large volume customers today. Even though the company has grown to over 60 employees with multiple offices, we've never lost our focus. If we continue to passionately serve our customers the future will be bright.